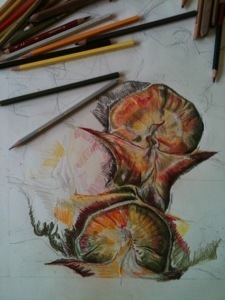 Pineapple, early stage drawing on Paper. 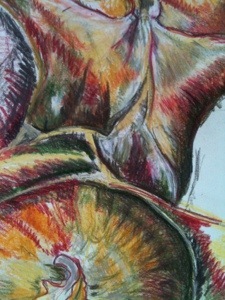 Pineapple, detail, colour pencil on paper. Who knew that a pineapple was so exciting, close up? I had no idea. 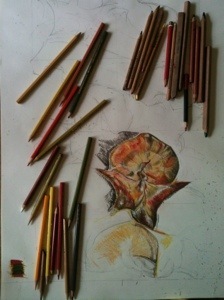 Its twist and turns, multiple colours: greens and reds, oranges. Perfect subject. First drawing of 2014. Good to be back.